Checking accounts for minors can set children under the age of 18 up for financial success. With a checking account, minors are able to learn the importance of money. As a parent, teaching your children how to be responsible with cash is part of your job description. Fortunately, you can show them essential financial habits with the help of a checking account. It sounds like a scary process, but it does not have to be. Continue reading to discover how to safely open checking accounts for minors. Firstly, educate your child. Between the ages of 13 and 17, kids are prone to thinking they know it all. They may understand the importance of sleeping for success. However, when it comes to money, they could use a few pointers. Familiarize them with checking account functions. For instance, they need to know how to accurately keep track of their balances. Inform them that when a transaction goes through, they do not always have access to that money immediately. Furthermore, explain the risks and fees associated with checking accounts for minors. Once they are well educated, you can begin safely opening an account for them. While there are multiple financial options for minors, look to joint accounts. With a joint account, you will have more control over your teen’s finances. Simultaneously, they will feel like they have gained freedom. Although checking accounts are available to minors at the age of 13, it is recommended to hold off a bit longer. The right age may vary from child to child. However, a typical beginning age is when they get their first job. The reason behind this is that they are starting to learn the importance of money. Another common age for opening checking accounts for minors is when they get their license. If they prove that they can hold onto it without losing it, they can also take care of a debit card. Open a joint account when the time is right. In doing so, you will set your child up for a safe financial experience. Most checking accounts for minors offer a daily limit feature. Take advantage of it. In order to teach children the value of a dollar, they may need some restrictions. Set your child a daily amount limit to spend and/or withdrawal. By doing so, they will grasp the significance of budgeting. For example, perhaps your minor is at the mall with their friends. They see a pair of shoes that they really like in a store window. At the same time, their stomach growls. They acknowledge that if they buy the shoes, they will not have enough money for food. Then, they walk past the shoes to save their money for something more important: dinner. This is just one example of how setting daily limits on checking accounts for minors can make them for responsible. The example also portrays how an account can create a safe financial mindset. Another feature that promotes safe experiences with checking accounts for minors is text alerts. Just as web push notifications assist marketers, text alerts assist parents. When opening a joint account with your teenager, look for this option. This feature will allow you to effectively monitor their spending. You can receive transaction notifications right to your phone. Imagine the scenario mentioned above went sour. Perhaps your minor decided to purchase the shoes. They were unable to purchase a meal with their friends. With text alerts, you will have gotten a text message saying that their account balance was low. You will be kept in the loop when your minor makes poor financial decisions. Hence, text alerts are another tool for maintaining a safe experience. Additionally, their are options for linking checking accounts for minors to savings accounts. Perhaps you already have savings accounts set up for your children. While that is a great parental decision, your children do not have access to them. Without access, they cannot fully comprehend the importance of saving money. More so, they cannot understand the difference between a checking account and a savings account. With this in mind, link your child’s checking account to a savings account. If they have a linked account, they will be able to transfer money that they wish to save into a checking account. Therefore, they will learn the value of saving up for things they want. This is another great way to open up safe and educational financial doors. Set up checking accounts for minors to portray the significance of having their own funds. To do so, you must first educate your teen. Then, open up a joint account with them. From there, you have power to set daily limits. You can also utilize text alerts. Lastly, you can link a savings account to the checking account you opened for your teenager. 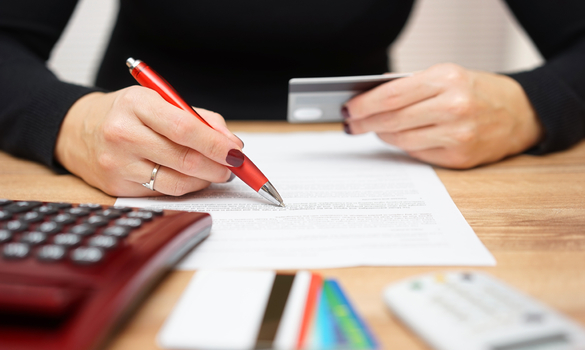 These steps can prevent your children from needing the best debt consolidation in the future. They are all steps to be taken to open safe checking accounts for minors.